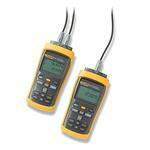 This hand-held digital Reference Thermometer from Fluke is a precision, portable, electronic thermometer with trending and logging capability for NIST-traceable calibration and high accuracy. 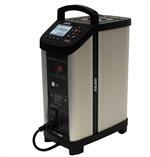 Source / read 4-20mA, read external RTD, 24 Vdc transmitter excitation, 250 ohm Hart resistor, 8 AA battery power or charger pack, built-in electric pump to generate pressure and vacuum. Internal sensor ranges available in 30 psig, 150 psig and 300 psig. 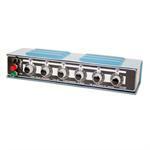 The 1051 is a wide range low ohm resistance box designed for general laboratory work including platinum resistance thermometry. 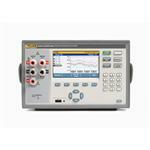 The 1586A Super‑DAQ is the most accurate and flexible temperature data acquisition system on the market. 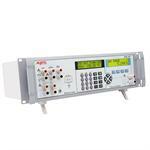 The Super-DAQ can be configured for use as a multi-channel data logger or as a precision reference thermometer. 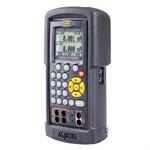 The Additel ADT 221A Multifunction Temperature Calibrator is a highly integrated calibrator featuring several patented technologies. 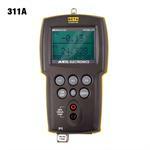 The ADT221A is an ultra-compact, rugged, and ease-to-use hand-held device for sourcing, simulating and measuring temp. 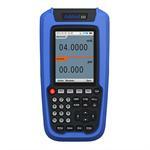 Field-durable, lab-accurate PRTs have been replaced by the 5615, which comes with a NVLAP accredited calibration. 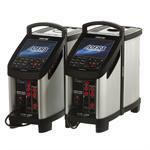 Maintain calibration for 50 instruments! 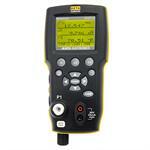 Rugged, multi-function, documenting calibrator, with over 28 pressure modules to choose from; sources and reads RTD's, TC's, DCV, DC current, and more! The best value in it's category! 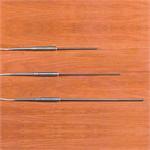 5627A probes have a temperature range up to 420 °C and an accuracy as good as ± 0.025 °C. 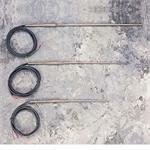 They come in three different lengths. In-line readout, Mechanically and electrically robust, Stable metal film resistors, Fully screened, One of Time Electronics several resistance decade boxes available. 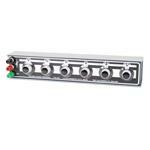 Rack mount, or benchtop standard for precise calibration of pressure and temperature instruments, including the ability to simulate/measure all RTD, TC,DC current, DC voltage, and frequency and pulse counts. 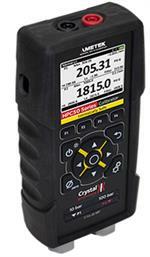 Includes Hart 250 Ohm resistor, 24Vdc output. 10W dissipation, In-line readout, Mechanically and electrically robust, Fully screened, One of Time Electronics several resistance decade boxes available. Precision PT100 Simulation, 6 Digit Resolution, 10mOhms - 12kOhms, 0.01% Accuracy, Better than 20 ppm/year stability, Robust metal case, fully screened with low thermal emf terminals, One of Time Electronics several resistance decade boxes available. 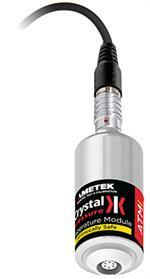 The Ametek RTC-156 (-30˚C to 155˚C) reference temperature calibrators combine Ametek's unparalleled experience with temperature calibration with cutting edge technological features creating the most sophisticated dry block temperature calibrators. Single Black Body Infrared (IR) Calibrators are designed for easy and reliable testing of almost any in-line or handheld infrared pyrometer. 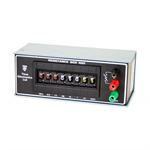 These IR calibrators provide extremely uniform Black Body targets with a high emissivity of >0.98e. 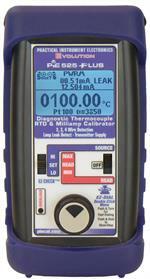 Calibrate all your Thermocouple, RTD instruments AND your milliamp loops with the PIE 525Plus. 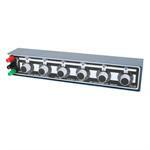 It has all the functions of a 12 type RTD calibrator, 14 type thermocouple calibrator and can source 0 to 24 milliamps. Know where your bullet will hit before you pull the trigger. 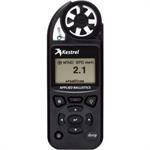 The Kestrel 5700 Ballistics Weather Meter measures wind, altitude and all critical weather and ballistic variables to calculate an accurate aim point for long-range shooting. No more DOPE cards. This exclusive model comes with a library of pre-measured Ruger rifles and commonly available match-grade ammunition, allowing you to simply select your Ruger rifle and cartridge then start making first-round hits on long-range targets! 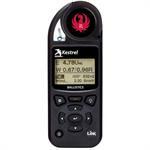 The Kestrel DROP D3 is designed to monitor and record a full suite of environmental conditions, including temperature, humidity, heat index, dew point temperature, station pressure, density altitude and pressure trend in a variety of indoor, outdoor. 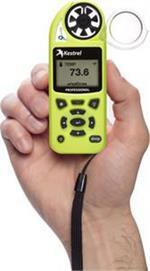 The all-in-one hand-held belt weather kit replacement, including every critical weather measurement, PIG and FDFM. 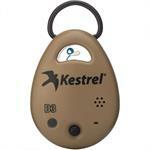 Measure, log, track trends and expand capabilities with free Kestrel LiNK App (LiNK model only). 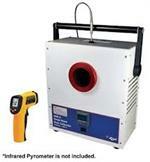 Joftra CTC-1205 temperature calibrator is the most accurate high temperature industrial class temperature calibrator on the market.The CTC-1205 covers a wide temperature range from 100 to 1205°C (212 to 2201°F). 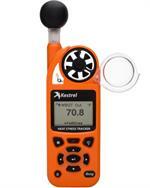 The Kestrel 5400 is revolutionary in size, cost and capability for those in need of measuring Heat Stress. 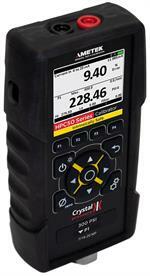 Available with or without LiNK (Bluetooth) and / or a compass. 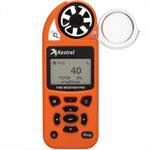 The Kestrel 5200 Pocket Weather Meter is Kestrel's Professional meter with the intended markets of construction, pouring concrete, balancing HVAC systems, and spraying crops. It gives quick calculations for your job with integrated specialty calculations. 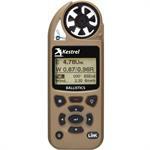 The Kestrel Shooter's Weather Meter with Applied Ballistics Technology measures up to 15 environmental parameters and allows users to select from either G1 or G7 ballistic coefficients (BC) when calculating a trajectory at the range. © 2019Instrumentation.com - A Shelby Jones Co.